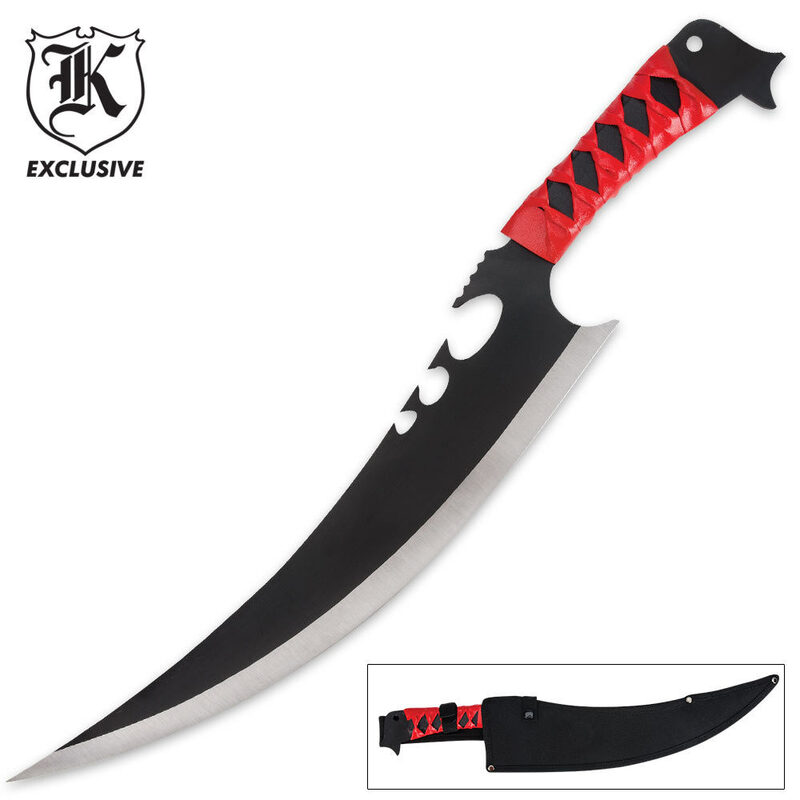 Flame Chaser Fantasy Sword | BUDK.com - Knives & Swords At The Lowest Prices! No fantasy sword collection will be complete without the addition of this Flame Chaser! Featuring one-piece, solid stainless steel construction with a non-reflective, baked-on black finish, the Flame Chaser is sure to get noticed. From the eye-catching design to the red cord wrappings on the handle, the Flame Chaser is done right. Includes a nylon sheath. Measures 19 1/2" overall.